Motorola’s Next flagship phone, Moto X+1 releasing into Markets Soon, Motorola’s latest release of its budget sized smartphones Moto E and Moto G, explains its primary focus in the emerging markets. 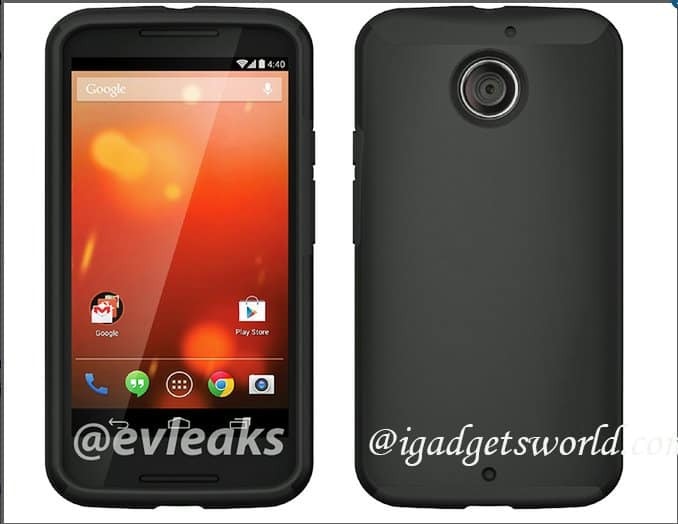 Now, it looks like the company is preparing for its Next flagship phone, Moto X+1. Brazilian website Livraria Logos claims to have leaked a full list of hardware specifications for the Moto X successor. Even if it is an improvement from the Moto X, some of the hardware in the X+1 could be considered dated compared to the competition. The major specification, Moto X+1 lacks is Touchless voice control, which was the big selling point behind the Moto X.
Moto X comes with a a natural language processor developed by Motorola that enables the phone to hear your questions and commands intuitively. You don’t need to press a button, phrase your question in a particular way, or even wake the screen to access Google Now with the Moto X. Livraria Logos’ specifications list didn’t include a natural language processor, which possibly means we may not see the same type of performance from the Moto X+1. 1. Motorola’s next smartphone is expected to come with a full HD 1080p 5.2-inch display, which would be slightly larger than the Galaxy S5’s display. 2. The Moto X+1 may also feature a 12-megapixel camera sensor, which means it will supposedly be able to produce clearer and sharper images than the 10-megapixel camera in the Moto X. 3. Motorola comes with the most modern processor than its predecessor. As per the reports Moto X+1 uses, Snapdragon 800 chip that powers the previous generations of HTC one and Nexus 5. However, newer phones have already moved on to the next iterations of that chip, the Snapdragon 801 or 805. Of course, we won’t know exactly what to expect from Motorola’s next phone until the company makes an official announcement, and there’s plenty of reason to be skeptical of this report. Still, Droid-Life points out that this same Brazilian website did correctly leak details about the Moto E just before it was unveiled. The reportedly leaked specs come just days after Twitter account @evleaks published a photo claiming to show a press rendering of the Moto X+1. We expect to learn more when Motorola actually unveils it’s next flagship smartphone, which is rumored to debut alongside the Moto 360 official launch.